Rotofugi Forums • View topic - Rotofugi and Trexi? 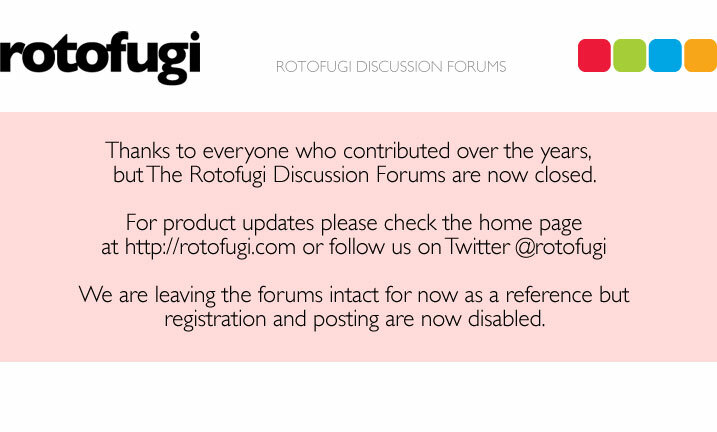 < Other Announcements ~ Rotofugi and Trexi? "An art gallery in Chicago e-mailed us, asking if they could sell the toys." This has gotta be you guys, eh? From an article here: http://www.tnp.sg/show/story/0,4136,86694,00.html? That must be us! Cool. And since when does "Rotofugi" have an "e" at the end? I fixed it for you Zook. I thought it was some new age thing or maybe you were actually Dan Quayle.